I’m looking for a Sugar Loaf dog that I won in a vending machine at the Golden Corral in Edmond, OK. I don’t remember exactly when, but it was a few years ago. He was made of some sort of velveteen material and was very soft. I always thought he looked like some type of Basset hound myself. He was very cuddly and was a two-tone brown. 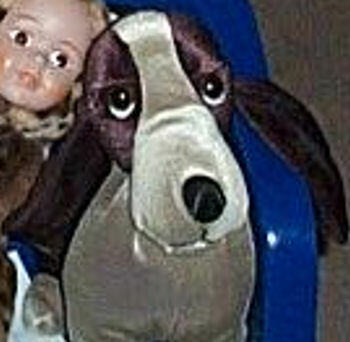 My daughter has Asperger’s Syndrome, and it would be such a comfort to her to have this favorite back – she literally took him everywhere and slept with him every night. He was her “safety” that she could hold onto when things got too upsetting for her – which was and still is pretty much all the time. Any help that anyone could give me would be hugely appreciated!!! We might finally get a good night’s sleep again. check this one on ebay. So very close.